Imran Bham must have believed that he had got away scot-free with fly-tipping a load of rubbish in November 2016. He used his white transit van to ditch the waste in the Bradford neighbourhoods of Wilsden, Heating and Bowling. But what Bham didn’t know was that somebody had taken a clear photograph of him standing talking on his phone next to his van, just after he’d dumped one of his loads of rubbish. The photograph found its way into the hands of Bradford environmental enforcement officers. Although they could read the van’s registration in the photo, it turned out that it was uninsured and not registered in anyone’s name. The council then published the photograph and appealed for anyone who knew the identity of the man to come forward. And someone did just that, letting the council know that it was indeed Imran Bham. In the interim, the van had been spotted parked in Heaton and it was full of rubbish. 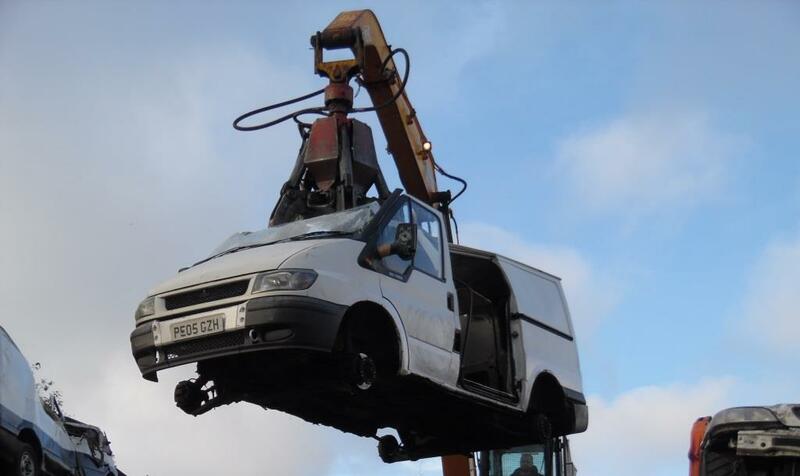 Under a law passed in 2015, the council can seize and crush a vehicle used for illegal fly-tipping. And now Bradford Council went ahead and did just that. The van was crushed at CJ Metal Recycling in Keighley. Now justice has caught up with Bahm and he appeared at Huddersfield Magistrates’ Court in February 2018 facing four charges of fly-tipping to which he pleaded guilty. He was also charged with obstructing justice by refusing to name an associate who was involved with him in the dumping. Bahm will be sentenced in March 2018. He’s likely to get a stiff fine with costs added on – and of course he’s already lost his van.